Be ready for after-school or on-the-road munchies. If you've ever scoured the contents of a vending machine trying to find a decent snack for your child, you know you need a better solution: Healthy snacks to take on the go. Keep these portable, packable items handy at home, in the car, or in your bag for a healthier alternative to impulse buying. What's most healthful will depend on your child's age, energy and activity level, and what she eats at mealtimes. For example, if your child is very active, she needs extra carbs and calories to fuel her body, not to mention plenty of water. Or, if she tends to avoid a certain food group (say, protein or vegetables) at meal times, emphasize those items at snack time when she's extra hungry and may be more willing to branch out. And if you're on the go to an intense sports practice or game, avoid these worst pre-game meals and snacks. 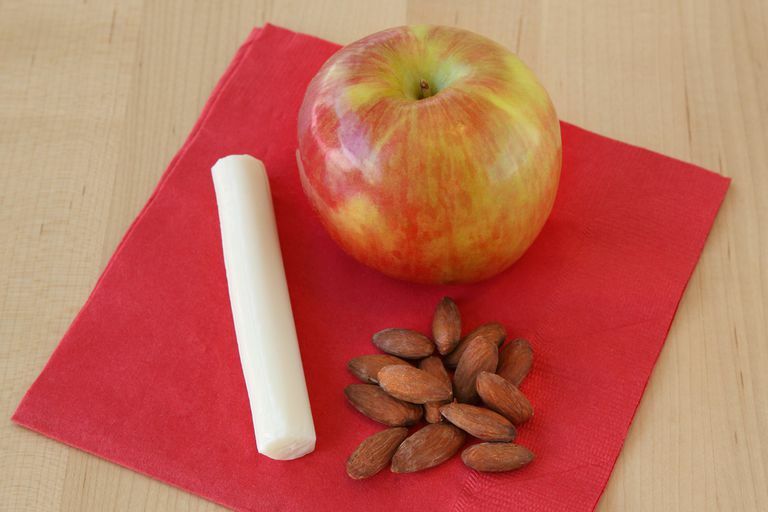 The following on-the-go snacks are good choices for most kids and teens. But be sure to read labels for hidden ingredients, allergens, and surprising sugars and calories. For more ideas, check the natural foods area at your grocery store or even a service like NatureBox. There are more and more packaged, reasonably healthy snacks and convenience foods available for busy families. But you do have to be an ace nutrition-label reader to make sure you're getting foods that offer a good nutritional value. Safety note: Remember that raw vegetables, grapes, nuts, and popcorn are choking hazards. Avoid serving to children under 5, or cut into small pieces first.